Notes The ausf D and E was initially developed as a light tank to equip cavalry units. It was a new design which had a different superstructure along with torsion suspension, eight large road wheels and gear box which allowed for greater speed. It was built in two versions with little between them visually. It was issued to light divisions and took part in the Polish campaign. 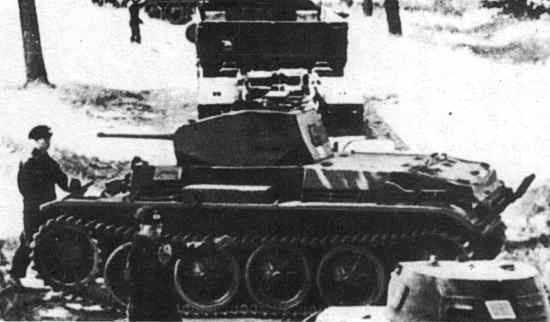 By early 1940 many were converted to flame-thrower tanks and Marder IIs.